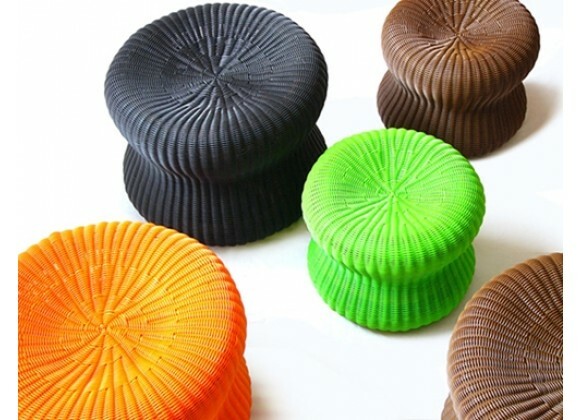 Marshmellow stool from Lebello features simple and modern designs mixed with exciting colors. Marshmellow is a small stool perfect as an ottoman or as casual seating. Marshmellow stool is made with aluminum tubing and all weather wicker. It is 100% outdoors resistant and easy cleaning. Lebello modern outdoor furniture can even be hosed down for cleaning. Available in multiple colors. Products are custom made to order in Italy, once production has begun the order cannot be cancelled. Availability: Products are imported and may ship in 5-7 business days if in stock. All Lebello products are imported from Europe and therefore, if not in stock, the ship time will be approximately 8-11 Weeks.